The steering system is based on the KS-footrests but it’s with larger self pivoted two compound steering pedals. The steering pedal is connected to the footrest with special flex-joint polymer pivot construction which allows comfort & precise steering quality with any type of rudder. The fl ex-joint system is totally rust- and carefree in all conditions and there is no jamming possibility thanks to the innovative construction. The steering pedal has a soft and stylish grip in the centre part to prevent slipping and it increases comfort. The steering ropes adjust automatically when you move the pedals. However the system includes KS-fi ne adjustment pieces to adjust the ropes in the installation or maintenance phase. 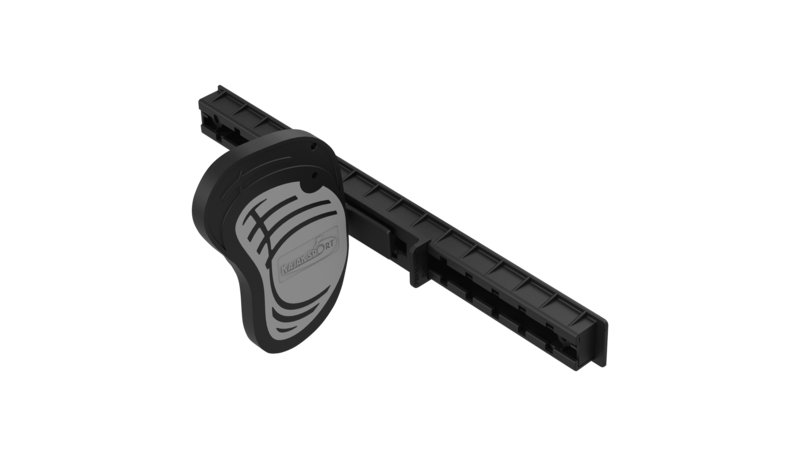 The flex-joint steering system is attached to the footrest pedal with two screws which means the steering pedals can be retrofitted easily anytime later to KS-footrests. Includes: Complete kit for steering, KS-footrest and KS-flex-joint steering system, with full dyneema steering ropes and attachment screws.